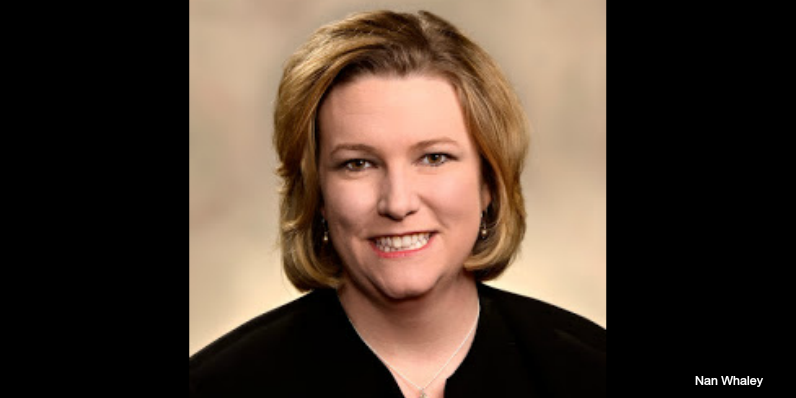 We agree with Mayor Nan Whaley when she claims that it is a great time to be Mayor of Dayton. The first presidential debate will be held at Wright State University on September 26th, 2016 and Whaley plans to work with the prestigious university on its organization and planning. The debate will bring people from across the country to the historic home-city of the Wright Brothers which is a big deal for the budding metropolis; Dayton aims to retain much of its new skills and talent through redevelopment and restructuring. 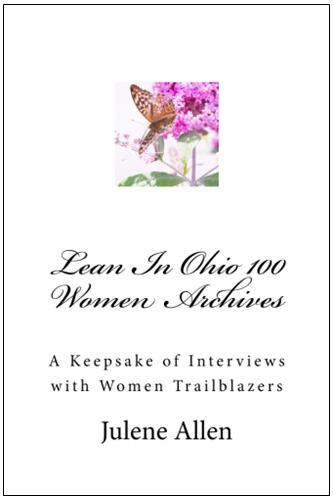 In this interview, Mayor Whaley discusses the significance of the timing as Mayor and offers the Lean In Dayton audience insight on her interpretation of leadership. Women For Action: How did you develop as a leader? Mayor Nan Whaley: Lots of people helped me. There was a group called Women and Leadership after I graduated from college. They were a pro-choice group and supportive of other women. They really took me under their arms and taught me a lot. Even when I made mistakes, they stuck by me. That's what's key; when there are people who are older and more experienced than you and even when you make a mistake, they'll help you learn from that mistake because that's when you learn the most, frankly, when mistakes are made. Women For Action: You were the youngest woman ever chosen for a city commission seat. What was the experience like and how did you navigate in an environment that was predominantly male and older? Mayor Nan Whaley: I've always been in politics. The environment has always been predominantly male. I don't really know if I navigated it necessarily, it's just part of what the job entails. However, recognizing a uniqueness can be a real value in a system like politics because you can stand out more, and it gives you more opportunity to say something that may be a little nuanced or different. This has always been the case for me. I think it's an asset rather than a liability. That's fundamental. When you are running for office or any kind of system, you have to consider the unique attributes that will help you stand out and provide a different perspective in that team or in that area. Women For Action: Where did that mindset come from? Mayor Nan Whaley: Mostly, I think people want to be part of a group. There’ no doubt about that. What may drives leaders is the opportunity to show that they have something different ...if you are a leader, generally you like to make changes...so leaders are people who want to push change and have unique qualities. And you have to like it right? There are some people that don’t like to lead. And that's alright. I think you just have to know that about yourself- whether you like to create change or not. Women For Action: In your opinion, what sort of rewards come from leadership? Mayor Nan Whaley: When you are a leader, you really get to make a difference. You put yourself out there, and in return, you can see how your decisions have affected things. If it's an organization, you can see how it moved in a certain direction. In my case, if it's a community, you really get to see, how speaking out on an issue, speaking up for something, can really change the dynamics for a community. I think that's the most exciting part of it. You can see which higher actions are making a great difference. 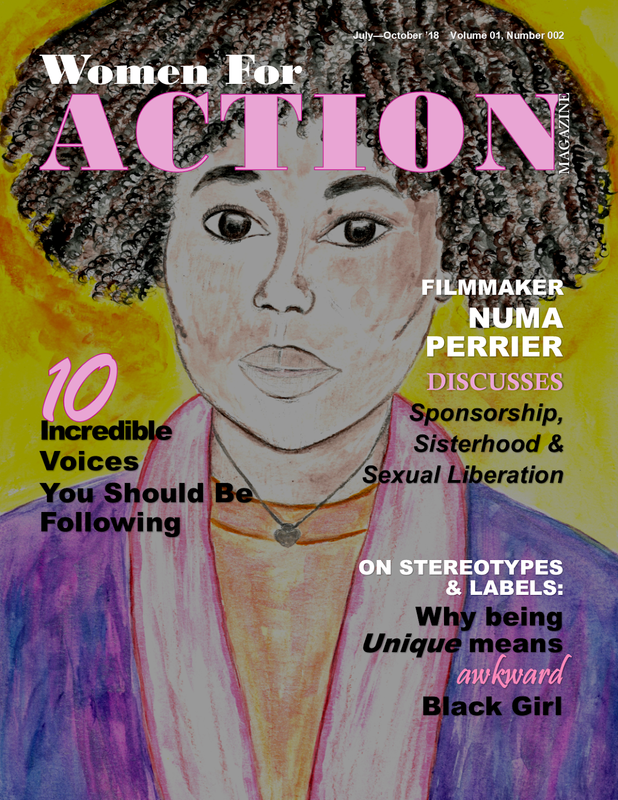 Women For Action: How did peer support play a part into your success? Mayor Nan Whaley: You don't get here alone. In my case, there has always been a group of people who have believed in what we are doing. Though I’ve taken the seat that is the focal point in leadership, it’s a whole group of us that do this work. That support has been really important. We meet regularly to discuss how we can be better, what we can do differently, and if we are heading in the right direction to move Dayton forward. I could not do this without the support of the folks who have encouraged me on, and believed in me, sometimes more than I have believed in myself. When I have made mistakes, they stood by me and may advise, “Here is how you could have done it better.” They are really honest about that. So I’m very lucky for that. Women For Action: Was there anything new that you learned along the way as a leader that seemed valuable to you today? Mayor Nan Whaley: Oh yes. I learn everyday. When you are elected, you have 48 months. You have four years on the job. So you really get to see that you are on a clock. Time becomes the most valuable asset in your life. As an elected official, you really feel that. It’s about what gets done this month, this year and so on. Sometimes, you don't get to pick. Without choosing, an occurrence may take a whole chunk of time. Consequently, what you choose to work on is a huge decision. That’s a lesson I’ve learned. Because of that, you recognize that you can't do everything. You have to have focus and since time is so finite, you really have to make it be meaningful. Eventually, you have to go to the voters and say this is what I've done for you and this is what we've done together, You have to stay focused on things. Time is essential. Women For Action: Recently, you announced the First-Ever Paid Parental Leave Policy. City employees are eligible for up to 6 weeks of leave time after a birth or adoption of a child. This is big news for Dayton hence it is aligned with many fortune 500 companies which are deciding that they are better off with such policies set in place. Leading up to this new mandate, what has been the cost without Paid Parental Leave? Mayor Nan Whaley: We don't know what the cost has been. It has been more an issue of employees not feeling like we’re valuing their family or their decisions. There was a study done by Innovation Ohio, a think-tank out of Columbus, Ohio. They visited us in February and March. The study was based upon how this [Paid Parental Leave] could really keep women in the workforce and whether it could help them have more choices. For example, government employees' sick and vacation time accrues over time; the more time you put in, the more you can take off. However, you're not going to have a baby when you are 60. You are more likely to have a baby when you first come into an organization. This makes parental leave crucial to employees with lesser accrued time. For this reason, we are making sure we attract and retain talent. We know women are a key part of this organization, and men too because men actually get the parental leave as well. If we don't offer them benefits that would enable them to sustain both parts of their lives- work and family, many will choose family and not work. We want to make sure we have that balance right and encourage that balance to happen. At first, I did not realize that we would be the first city in the state to adopt this. Yesterday, I received a text that Cincinnati has adopted the Dayton policy as well. It's exciting when you get to lead not only in the city of Dayton but when that work goes into other cities and you can show best practices for other cities in Ohio. It's something we're really proud of. We really had no idea it was going to create as much attention across the country. That was a nice surprise. Women For Action: About six weeks prior to relocating to Dayton, I was hit by an SUV while cycling. You are chair of the Bike Walk Dayton Committee and striving for Dayton to become a Bicycle Friendly Community. What sort of guidelines would you enforce so that bikes and motor vehicles would feel safe and comfortable on the road? Mayor Nan Whaley: In Dayton, we have the most amount of paved bike trails in the country. We have 400 miles of connected bike trails in this region, which has been validated as the most in the United States. First, this allows for great recreation travel. It’s almost like the superhighway for bikes. Our job in the city is to try to make sure that that connection is strong and we have the infrastructure, the encouragement and assets for the city streets to feed into that superhighway for bikes. We are talking about incorporating some protective lanes in some areas. The other thing we're trying to do is get more people to bike. We know that if there are more people bicycling, the accidents go down rather than up. So it's getting people used to seeing bicycles on the road and teaching motorists how to share the roads. We created public service announcements and worked with both city and county law enforcement. Yet the real issue for us is that we really need to get more people bicycling. And that's almost counter intuitive right? People say, "No, then there will be more accidents.” Actually, there’s less when you have more bicyclists. Women For Action: The first presidential debate will be at Wright State on September 26th, 2016, here in Dayton. This is good news. How can we get more women involvement for the up and coming debate in Dayton? Mayor Nan Whaley: It’s a great question. I am going to meet with President Hopkins from Wright State to really talk about how we can engage the whole region in this big opportunity. Overall, there is a discussion about how much national attention that this will give Dayton. Not only are we having a presidential debate, we are having the first one, which is huge for us. I think there is an opportunity like working with women's studies, urban studies, over at Wright State to really leverage that conversation. You know, I’m supporting Hillary for President and if Hillary is the democratic nominee that will really put a focus on women’s issues, women in this region, and across the country on the debate. I think there is lots of work to do. It is very exciting. It is so much fun and a great time to be Mayor. All this great stuff going on- I’m so lucky. Yes. I think that's something we have to work on and be thoughtful on. Hopefully, if Hillary is the nominee, we’ll see a lot of discussion about women- women’s issues and women’s engagement in politics and their community. Women For Action: Studies say that women who run for public office are just as likely to win as men. Plus there is no disparity in their performances. However, women have a lesser interest in running for offices. Why do you think this is the case? Mayor Nan Whaley: I think we are socialized as women, not to be so public in our leadership. For example, when I was in the seventh and either grade- I'm from a small town in Indiana, and I was pretty miserable in this one elementary school. The boys were supposed to run for student government, and the girls were supposed to be cheerleaders. Sometimes, that socialization is just accepted by girls. So as you grow up, you don't see yourself as a leader, maybe a leader in your group, but not a leader of men and women. Approximately only 2% of the population runs. You are talking about this really small percentage of the overall population. So I always remind people as a rule- We are a little nuts anyway, to put yourself out there the way we do. So the socialization of us not really being encouraged to be leaders, is a far step. You're not supposed to be a leader in your high school, you're not supposed to be a leader in your organization. I don't think it's intentional; it's part of the socialization that we have in this country that is an undercurrent. ...I'm like every woman that's run; I had to be asked to run. Also, Research found that - and you know this from the Lean In work - men will apply for a job if they have 70% of the qualifications while a woman may feel she has to have one hundred percent before applying. In my opinion, in the face of the public, on some level, a woman leader will always be considered inadequate. So it's extremely difficult to be a completely qualified candidate for office. Plus we make sure we have every single box checked before we do anything. Women For Action: What sort of challenges have you been faced with as a woman in your field of work? Mayor Nan Whaley: I’m lucky because there were women that went before me. It’s not like I'm breaking any glass ceilings here. The ceiling has already been broken. For all genders and racial groups, society has an expectation of how you are going to behave in this world because of where you come from. Those [stereotypes] can be really challenging. We're pushing hard for equity, not only of women but just of the whole community and that's something that drives me. There hasn't been anything that has been a huge challenge. I’m a Generation Xer so I have not had the blatant discrimination like those that came before me. I’m very grateful for that, that there are people that came before me that have fought that fight and that fought that fight for me. It makes my journey a little easier. However, I’ve talked to other women mayors, and they are just taken aback by the blatant sexism that occurs. Women For Action: Can you explain what sort of experiences they may have encountered? Mayor Nan Whaley: They discuss experiences which they may have been anticipated to be weak, or emotional. I don't know if my community knows I'm just not that way, so that's never been a concern for me. Though for some electives, that has been a really big deal for them. I just have not had that experience yet. It could happen. I think there's more discussion about my hair, or my clothing than that would have happened if I were a man- mostly by other women. In my opinion, sometimes we are little hard on our gender. Women For Action: How do you feel other women can overcome some of these challenges? Mayor Nan Whaley: There are two avenues. Number one, choose to pick your battle. I think when things are inappropriate, calling it out and stating what it is, is key. Two, you can't call everything out, so you have to choose to draw a line. I think you have to find the line to calling it out. Plus, I think it's easier to call it out when it doesn't happen to you. That is one of the advantages. There are more of us [women elected officials] now, and when we see it happening to someone else, we can call it out rather than say, “Hey, you just did that to me.” I think that that is very helpful too. When someone is experiencing gender disparity, I like to point it out. I think that’s the best approach. That's what we do for each other, which I think is helpful. When Stephanie Rawlings-Blake, the Mayor of Baltimore, recently announced that she wasn't running for reelection - she was going through a really tough time during the spring, I noticed Baltimore media would discuss what she was wearing in the coverage. Yet in Cleveland, when Mayor Jackson was going through a similar thing, they never mentioned his clothes. I would refer to the coverage and explain to folks, “Do you think they would give that kind of coverage to a man?” Now Stephanie can't say that. Right? However, I can say that as another woman, in another city that's not having that experience right now. Plus, there are more of us now and there’s not an “only”. So that’s helpful. Women For Action: Where do you think the confidence for leadership comes from? You kind of touched on that a little earlier. How do you get your confidence? Mayor Nan Whaley: By people. To be a good leader, you cannot do it alone. Anybody that thinks they are doing it alone is either lying or they're not being a leader. That's really key. You have to have a sense of core self. So a key part of it is self-reflection. You can't lead alone. You have to share it with others and they have to be able to give you feedback. I get a lot of strength from that. You have to almost be willing to lose it all for what you believe in. You have to put it all out there and know that people are going to disagree with you. You can't expect everyone to follow. You have to be okay with that too. 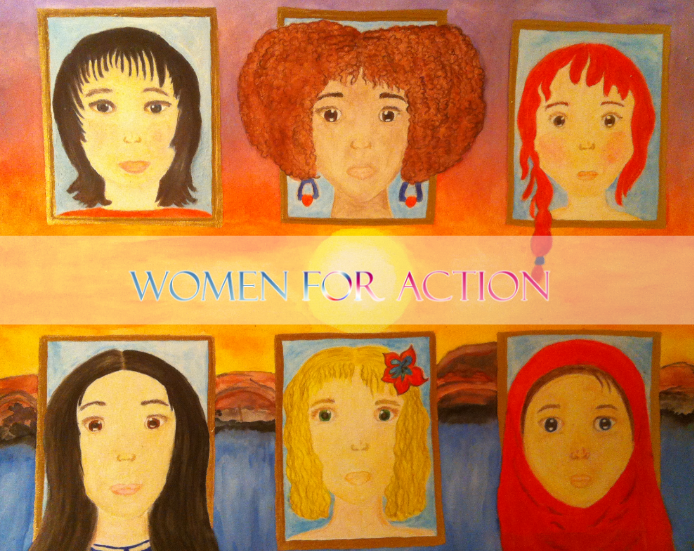 Women For Action: How do you feel your leadership is helping other women? Mayor Nan Whaley: My favorite thing that is helping me is when I go to schools and little girls say, “I'm going to be mayor one day." I love that. I had no idea that was going to happen. Women seeing other women do these things helps other women realize that they can be bigger leaders and think larger thoughts. Actually we have a lot of women leaders in this community... I noticed, there is a lot of great support... It's a very impressive thing for this community and I'm glad to be a part of that. 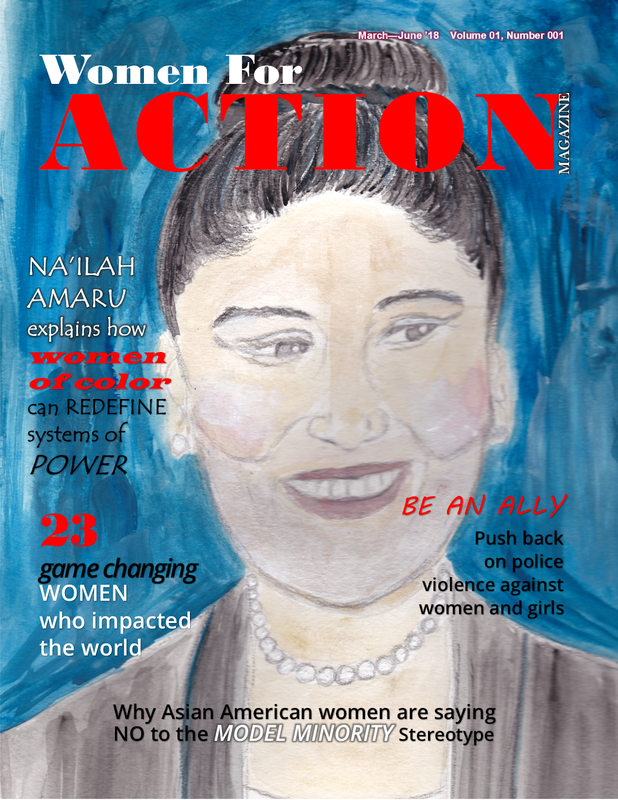 Women For Action: How do we inspire more women to run for public office? Mayor Nan Whaley: We need to support them, both financially, and through our actions. Sometimes, it doesn't happen but, women were my biggest supporters in my race. I knew that if I knocked on the door [while campaigning] and there was a woman there, they were more likely to support me as Mayor. We have to support each other. That’s a really key part. We have to encourage our friends who would make good elected officials. We have to ask, “You know, have you ever thought about running for office?” Women would not consider it unless they have been talked to by someone they respect. That's important too. Women For Action: What sort of advice would you give a young woman who is interested in following in your footsteps? Mayor Nan Whaley: I would really encourage them to think about what their core values are. like what’s driving them to make a difference, and I would encourage them to really create a support system of people that agree and disagree with them, to be able to build those relationships and a core group of people that would be with them, no matter what.